Emulate Mandela's values of peace, human dignity: Ramaphosa - SABC News - Breaking news, special reports, world, business, sport coverage of all South African current events. Africa's news leader. 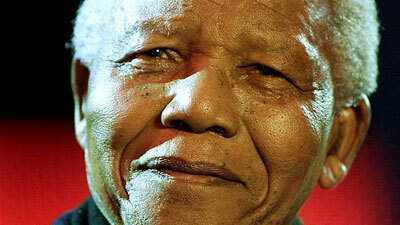 The anniversary of Madiba's release remains a day to reflect on. Victor Verster Prison in Paarl a free man on this day 29 years ago. He had spent 27 years behind bars as a Rivonia trialist. In a tweet, President Ramaphosa says we should emulate Mandela’s values of peace, human dignity, justice and service to all humanity. The world watched as one of the most famous political prisoners walked free almost three decades later. The anniversary of Madiba’s release remains a day to reflect on. Four years after stepping out of prison Mandela became South Africa’s first democratically elected President. The ANC women’s league in the Free State has called on women to continue to celebrate the former president Nelson Mandela as he was zealous about the liberation of women. The league says it will continue to gather and remember the milestone reached by the former president in 1990 when he was released from prison. ANC women’s league chairperson in Mangaung, Mapaseka Nkoane says Madiba was at the forefront of fighting for women’s equality. This entry was posted on 11 Feb 2019,10:02PM at 10:02 PM and is filed under Politics. You can follow any responses to this entry through the RSS 2.0 feed. Both comments and pings are currently closed.